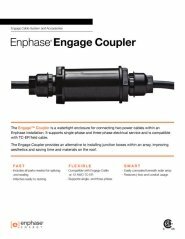 The Engage Coupler is a watertight enclosure for connecting two power cables in an Enphase installation. It provides an alternative to installing junction boxes within an array, improving aesthetics and saving time and materials on the roof. Includes all parts needed for splicing and sealing. 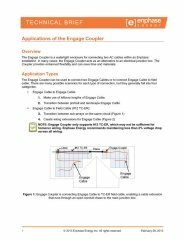 Compatible with Engage Cable or #12 TC-ER Cable. Reduces junction box and conduit needs.